After establishing a proven team of Ruby On Rails (RoR) Website Developers at Bangalore India, the IT hub and Silicon Valley of India, GoodWorkLabs has set up a state-of-the-art ruby on rails website development company in the heart of San Francisco Bay Area, California, USA. This center focuses of supporting the US and North American based clients with client engagement, sales, product management, UX/UI, application development, QA, deployment and a complete delivery cycle. Together, the San Francisco, California, USA and Bangalore, India offices come together to deliver the best products for our customers globally. We have developed robust RoR applications for clients globally. 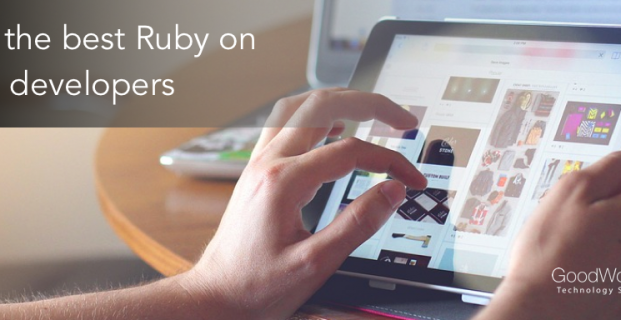 The Ruby on Rails development team at GoodWorkLabs in Bangalore, India and San Francisco Bay Area, California, USA, have been pioneers in creating innovative and world-class web applications and supporting the Ruby community and open source development in India. We were the ones who supported and sponsored RubyConf in India from the beginning. We have extensive experience in creating a wide range of Ruby applications with the best Ruby on Rails developers in the world. We follow Agile Software Development Methods such as Scrum and Extreme Programming, and love contributing to open source projects. Read more here on the process we follow and the top 7 traits of a GoodWorkLabs Superstar. It also explains the kind of top developers we hire and why we are the best in what we do. We love Ruby on Rails development and every project we take up, we want it to be our best. We have excellent Ruby programmers, UX and UI designers, who design the user experience, user profiles, design flows and user stories. Our team at Bangalore, India, follows pair programming methodology, along with continuous integration (using tools like Cruise Control), TDD (test driven development) among other extreme programming (XP) paradigms. Also we work with great Ruby programmers from around the world. GoodWorkLabs usually handles the end-to-end Ruby on Rails web development, including requirement gathering, architecture, design, development, testing, deployment and even your go-to market strategy. However, if your requirement is to just add great Ruby app developers who can work remotely or from your location, you can hire our app developers and kick start your work immediately. Want to rapidly develop a rich web application with Ruby on Rails? Request a FREE quote today! Mail us your business or technology requirement and we will revert with a free quote and possible design and UX approaches to your software needs.